The most recent episode of Legally Speaking welcomes human rights lawyer Sadakat Kadri to discuss his 2012 book, Heaven on Earth: A Journey Through Shari’a Law from the Deserts of Ancient Arabia to the Streets of the Modern Muslim World. Kadri began research for Heaven on Earth in 2008 in an effort to trace the evolution of Shari’a Law. He says the first half of his book is a history of the origins of Shari’a Law, while the second half takes you on Kadri’s journey through Syria, Pakistan, Egypt, and other countries in search of the modern interpretations of Shari’a Law, which he discovered has changed radically in the last forty years. 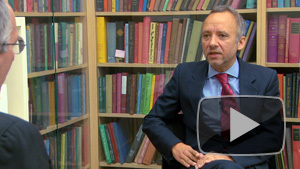 Click the image to watch “In Search of Islamic Justice-Legally Speaking” to learn more about Kadri’s distinctions between religious law and criminal law within the Shari’a. 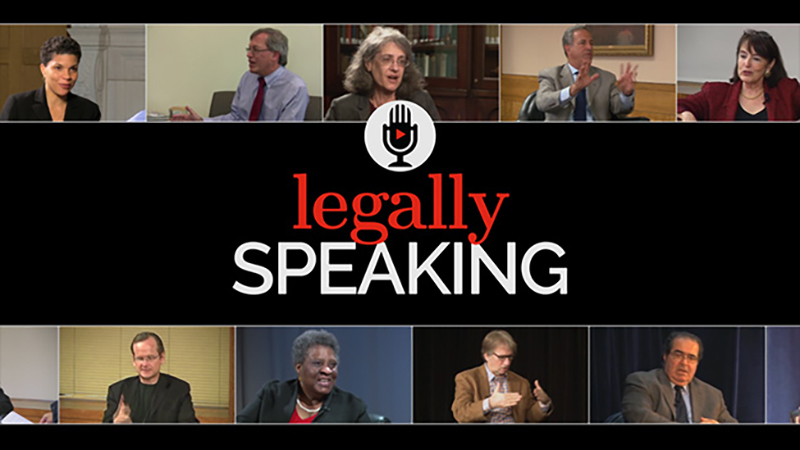 See what other programs are available in the Legally Speaking series! The debate over this amendment has grown increasingly hot with recent mass shootings, as advocates and opponents of stricter gun control argue the collective safety of the population versus self protection and individual rights. How do we define the right of the people and the need to be well regulated? The very words of the amendment have been used to argue either side of gun regulation. 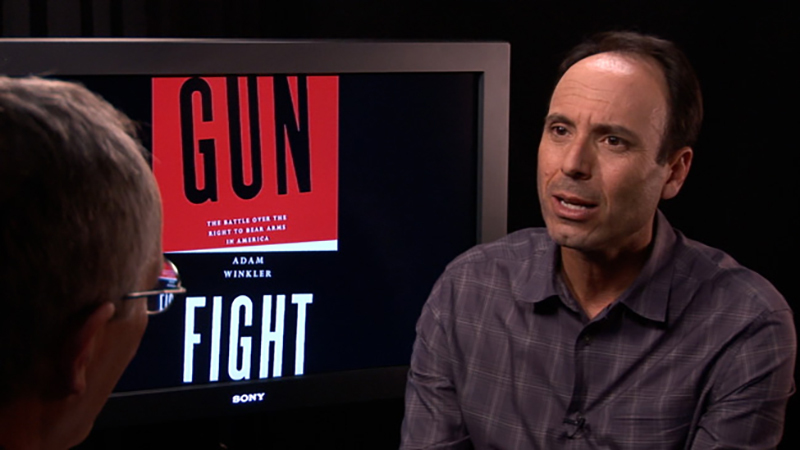 UCLA Law professor, Adam Winkler, stands in the middle of this argument, with his book “Gunfight: The Battle Over the Right to Bear Arms in America,” which has won praise from both sides of the debate. 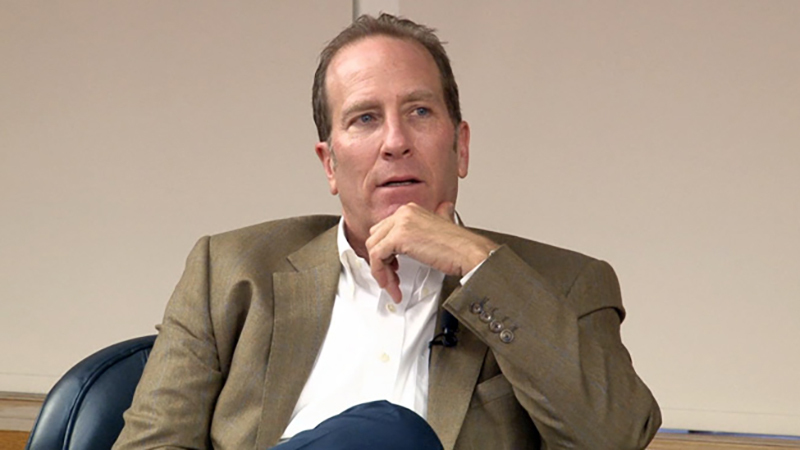 See what Winkler has to say about the issue of gun control in “The Fight Over Guns,” as he joins Martin Lasden on this episode of Legally Speaking, presented by UC Hastings College of Law and California Lawyer. Check out our other programs on Law and Justice! He once presided over the third largest newspaper empire in the entire world. He also was a celebrated author with massive biographies of both Franklin Roosevelt and Richard Nixon to his credit. But that was all before Conrad Black served three years in federal prison for fraud and obstruction of justice. In the latest installment of “Legally Speaking,” host Martin Lasden joins Black at his Toronoto mansion to talk about his spectacular rise and fall, and the protracted legal battles that he has waged to clear his name. Presented by UC Hastings College of Law and California Lawyer. He was the inspiration for the character of George Costanza’s childhood friend Lloyd Braun on “Seinfeld,” but there’s a lot more to the real-life Lloyd Braun than a punchline. The UC Hastings Law School alum began his career as an entertainment lawyer, but eventually moved over to the creative side of the business. Since then he’s had a hand in developing some of the biggest hit shows in television history, including “Lost,” “Desperate Housewives,” “Grey’s Anatomy,” “Boston Legal,” and “The Sopranos.” In 2007, after a stint as head of Yahoo’s media group, Braun co-founded BermanBraun, an independent media company. In the latest installment of “Legally Speaking,” from UC Hastings and California Lawyer, Braun speaks with Hastings Law School Dean Frank Wu about his career and the profound changes that are now rocking the entertainment industry. Watch “A Conversation with Lloyd Braun,” online now.